Understanding your lease requirements and giving plenty of time to the process is an important approach to planning for your real estate needs. 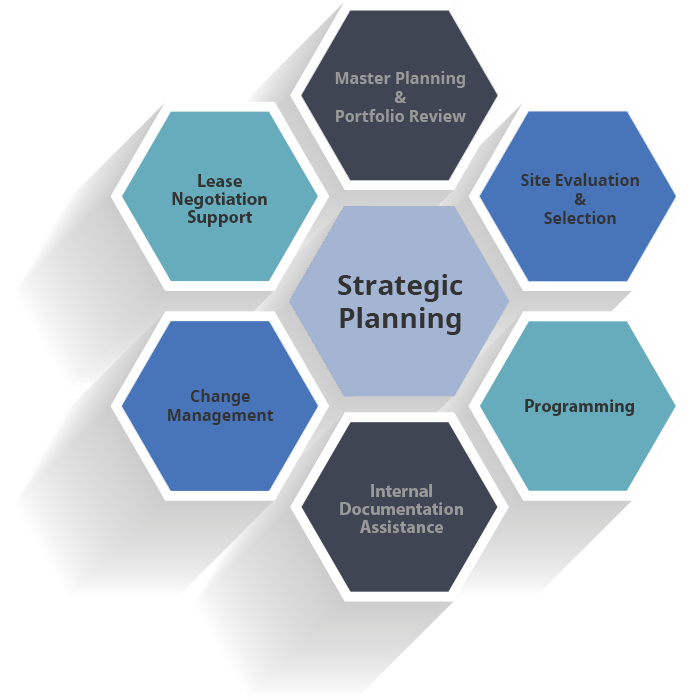 Growth projections, zip code analysis, and space allocation programming are some of the components of successful strategic planning. Our team works hand in hand with your real estate group and outside brokerage firm to ensure your best interests are being protected. From adding simple language to a lease to providing detailed due diligence analysis, we have been able to save our clients a substantial amount of money.